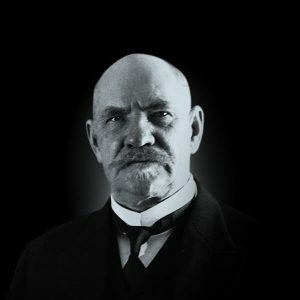 Juho Kusti Paasikivi was born Johan Gustaf Hellstén on 27 November 1870 in Hämeenkoski to August Hellsten, a textile merchant, and Karolina Wilhelmina. Juho had one half-sister that was born to his mother before she was married. His mother died when Juho was just four years old. His father recognised his son’s academic talent and enrolled him at the top school for Finnish speakers in Hämeenlinna, where Juho was top of his class. Juho was 14 when his father passed away, and he was placed in the care of an elderly aunt, Kaisa Hagman. Paasikivi Finnicised his name to Juho Kusti Paasikivi in 1885, when he was in upper secondary school. He developed into an independent and even obstinate young man. Later in life, his personality was characterised by down-to-earth realism, caution and pessimism, traits which were, however, associated with a highly effervescent temperament. Juho enrolled at the Imperial Alexander University of Helsinki in 1890 to study Russian language and literature. 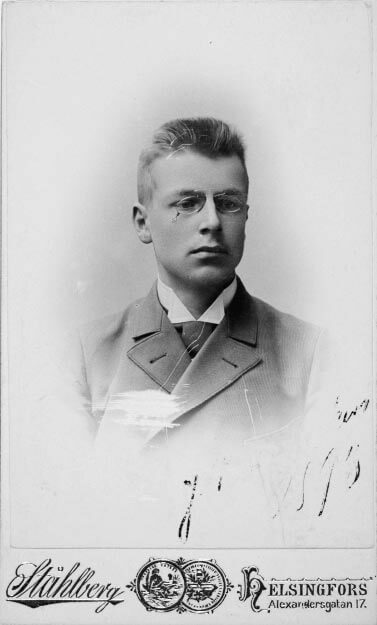 While at university he joined the Hämäläinen Student Association and became involved in the Fennoman movement. He also contributed to the Uusi Suometar newspaper. He spent half a year as a student and reporter in Novgorod, Russia, where he familiarised himself with Russian culture – an interest that continued throughout his lifetime and would be of great benefit to him in his future career. After obtaining his Bachelor of Arts degree in 1892 he switched to the Faculty of Law. 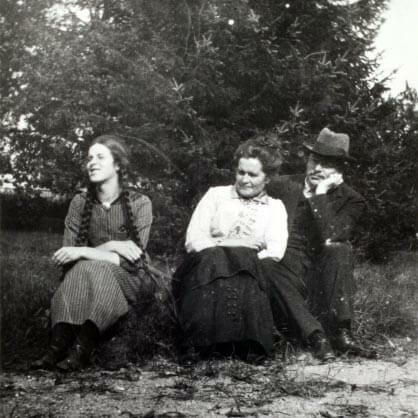 In 1893 he met Anna Forsman, a Swedish-speaking science student, and they married four years later. The couple had four children: two daughters and two sons. 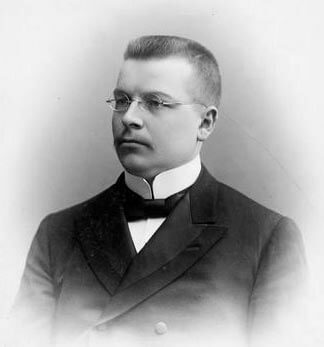 Juho Paasikivi earned his Doctorate in Law in 1901. The subject of his doctoral thesis was entitled “Legal Developments in Taxation and Financial Control in accordance with Old Swedish-Finnish Law: A Question of Competence”. He conducted research for his thesis in Stockholm and Leipzig. In 1903 he was appointed Director-in-Chief of the Treasury of the Grand Duchy of Finland, a position he retained until 1914. During his study years, Paasikivi had embraced the Hegelian–Snellmanian view of the crucial importance of language and nationality in history. 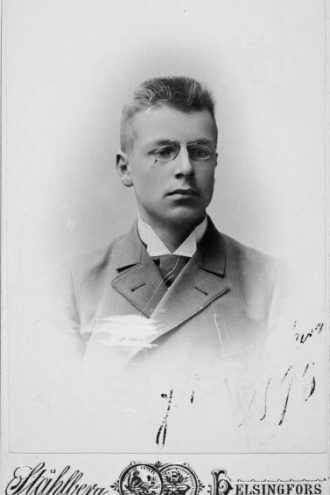 At the turn of the century he became involved with the conservative nationalist Finnish Party (Suomalainen puolue) which had formed around the newspaper Uusi Suometar. The preservation and strengthening of both the special political status of Finland and of social peace required the implementation of an extensive reform programme in the area of social policy. 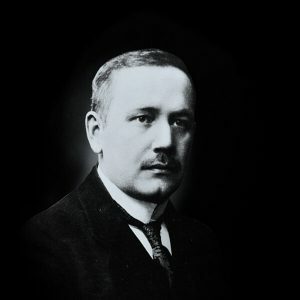 Paasikivi played a significant role in drafting this reform programme, and he also contributed newspaper articles supporting suffrage reform at the national and local levels. After the general strike of 1905 Paasikivi became an influential figure in national politics. 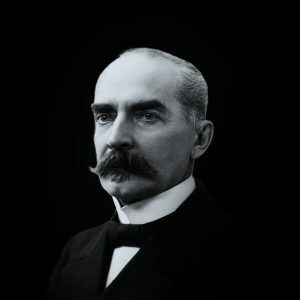 As a member of the committee for parliamentary reform during the session of 1905–1906, he played a key role in formulating the principles on whose foundations a new, single-chamber parliament was constructed. Paasikivi was elected to Parliament as a representative of the Finnish Party in 1907 and immediately attracted attention as one of the most prominent talents in his political grouping. Paasikivi was appointed head of the Senate Finance Committee, which corresponds to the Ministry of Finance today, but his ministerial career was to be brief. The coalition Senate fell apart in the spring of 1909 over questions of policy regarding Russia. Paasikivi sketched the boundaries of both his own and his political group’s politics of compliance, justifying his resignation on the grounds that not even the Finnish Party could commit itself to enforcing every Russian demand. As a politician of compliance, however, Paasikivi believed that the Finnish State Treasury, which he headed, should conscientiously pay the annual sums determined by the russified Senate, and known as the “military millions”. When the parliamentary session of 1913 approved a report concluding that such payments were illegal, Paasikivi decided to quit his official career and politics altogether. For the next twenty years he served as director of the Kansallis-Osake-Pankki (KOP) bank, but his country still called on his services. The Russian Revolution in the spring of 1917 brought liberals to prominence in the Russian leadership. 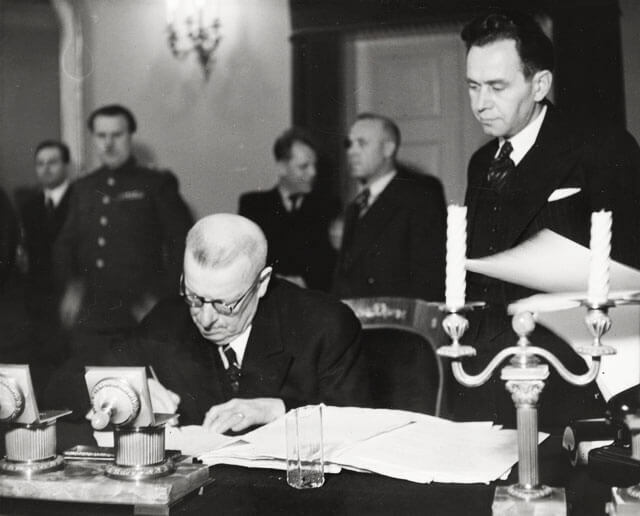 In this new situation, Paasikivi acted as a representative of the Finnish Party on a constitutional committee chaired by K. J. Ståhlberg and responsible for drafting a new form of government that would have increased Finland’s autonomy within Russia. Alongside other Finnish loyalists, Paasikivi worked right up to the October Revolution to consolidate Finland’s autonomous status within the framework of Russia. The rise to power of the Bolsheviks stripped Paasikivi of his last shreds of loyalism. In his view, historic world events presented the chance for Finnish independence like “a gift from heaven”. Paasikivi believed that the achievement of independence was not enough in itself; it also had to be made secure. It was self-evident to him that Russia – whether ruled by Reds of Whites – would sooner or later attempt to reconquer its lost border territories. In the spring of 1918 Paasikivi was one of the leading figures in Finland to back German support. At the end of the Civil War in May 1918, head of state P. E. Svinhufvud invited Paasikivi to succeed him as deputy chairman of the Senate’s Economic Department (i.e. prime minister). Together Paasikivi and Svinhufvud forged a plan to ensure the support of Kaiser Wilhelm II by nominating a German prince, Frederick Charles of Hesse, as Finland’s ruler. These plans fell through after Germany lost the war. Before resigning, Paasikivi’s Senate made some important decisions in the areas of domestic and financial policy; the most significant of these was the emancipation act concerning tenant farmers and the landless agricultural population that was enacted in November 1918. The act provided a significant portion of the rural population with their own land, which helped heal the divisions in society following the Civil War. When the tide of Russian civil war turned in favour of the Bolsheviks, the idea of concluding a peace treaty with the government of V. I. Lenin, which was considered weak, began to gain ground in Helsinki. The peace terms were formulated in the spring of 1920 by the Paasikivi Committee, which consisted of representatives of all parliamentary parties. Following the peace negotiations in Tartu (Dorpat), Estonia, Paasikivi regarded the compromise reached with the Russians as more than satisfactory as it secured the borders of an independent Finland. The Treaty of Tartu entered into force on 31 December 1920. Paasikivi nevertheless continued to regard Bolshevik Russia as a threat and that the achievements gained in Tartu had simply bought time. 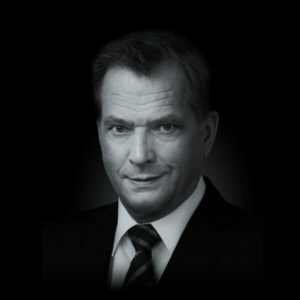 In his position as director of the bank KOP, Paasikivi played a key role on various business and government committees. Because of the rigorous methods that he employed in directing the bank, Paasikivi clashed with the rest of the management. 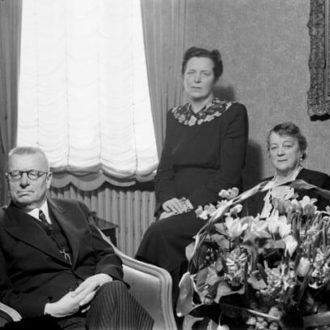 The pressures created by the crisis combined with concern over his wife’s poor health and her death in 1931 strained Paasikivi’s nerves to the utmost and led to his resignation as director in 1934. In the same year he married Alli Valve, a 54-year-old clerk at the KOP bank and former actress who was able to deal with her temperamental husband. 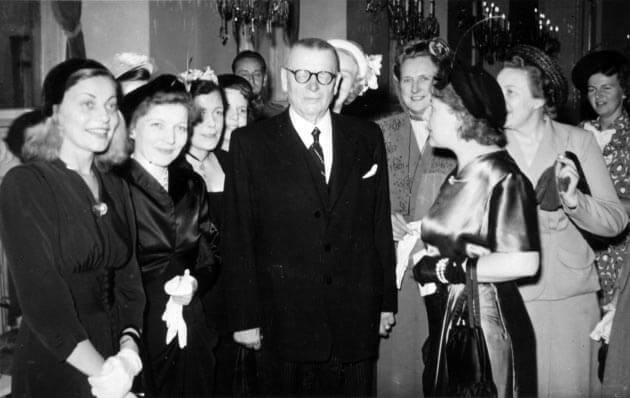 After Finland adopted a Scandinavian orientation in its foreign policy in 1935, the post of Finnish ambassador in Stockholm became important. 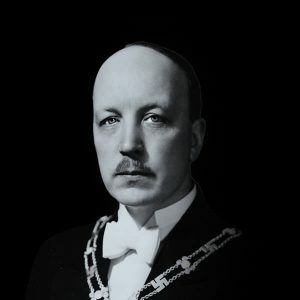 With his linguistic and diplomatic skills, Paasikivi was persuaded to accept the post in 1936, and he established excellent diplomatic relations with Sweden. 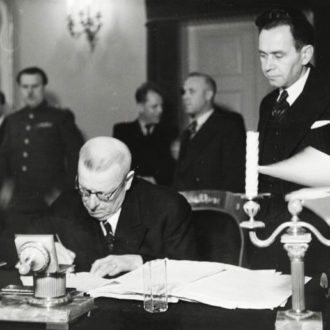 When the Soviet Union proposed the initiation of discussions “on concrete political issues” in early October 1939, the Finnish government appointed Paasikivi as its official negotiator. 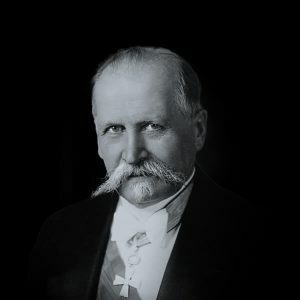 Paasikivi thought it essential that the Finns should be ready for sufficiently far-reaching concessions in order to prevent a war that would mean the destruction of Finland. Despite the fact that if it yielded to the Soviet demands, Finland would be forced to abandon Scandinavian neutrality and to enter the Soviet Union’s sphere of influence, Paasikivi considered this a better alternative than war. 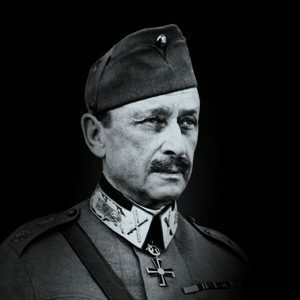 Marshal Gustaf Mannerheim shared Paasikivi’s opinion, whereas the government, strongly influenced by the foreign minister Eljas Erkko, adopted the opposite stance. Negotiations were broken off in mid-November 1939. 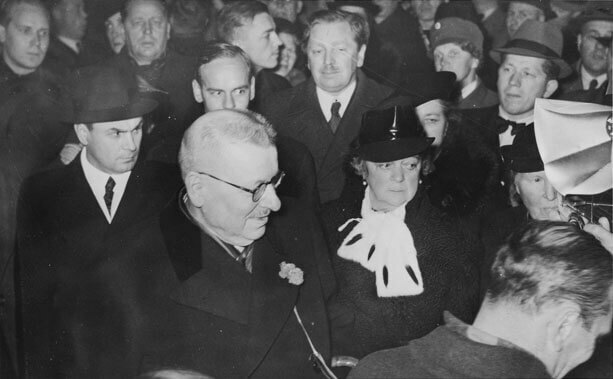 When the Winter War broke out on 30 November 1939, Paasikivi was appointed as minister without portfolio in a new government formed by Risto Ryti. Paasikivi subsequently served as foreign policy advisor to Ryti and foreign minister Tanner. At the end of the Winter War, Paasikivi travelled once again to Moscow to accept the the Soviet peace diktat, which was signed on 13 March 1940. 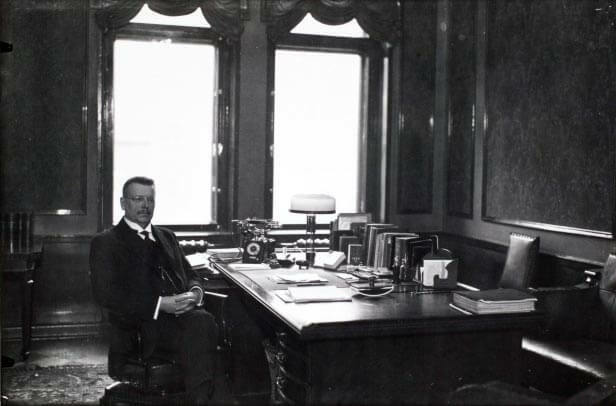 After the conclusion of the treaty, Paasikivi agreed to take on the demanding job of Finnish ambassador to Moscow. 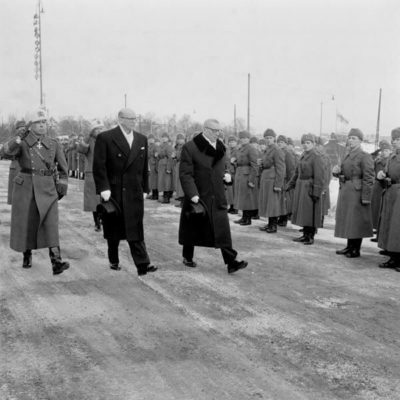 At the same time, a reorientation in Finnish foreign policy towards Germany was underway. Fearing leaks, the government in Helsinki had kept Paasikivi in the dark concerning the rapprochement between Finland and Germany. 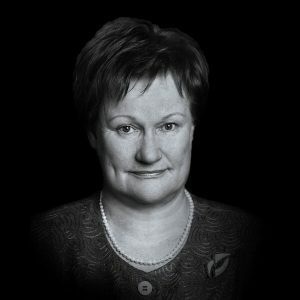 The disclosure led to Paasikivi’s resignation as ambassador. When the Continuation War began in 1941, he returned to Finland. When Paasikivi was finally informed of the political situation on his return to Finland, he adopted the government’s positive attitude towards Germany. Although he was official in retirement, he held weekly discussions with President Ryti and was well-informed about political developments and the national leadership’s assessment of the situation. In the spring of 1944 Paasikivi played a key role in the many rounds of negotiations in Stockholm and Moscow. Paasikivi had come to believe in the necessity of reaching a peace deal with the Soviet Union. After Paasikivi returned from Moscow, his and Ryti’s political views began to diverge, leading to a cooling of personal relations between the two men. Paasikivi was subsequently excluded from the process of reorganising the government, as well as from the peace delegation that went to Moscow early in September 1944. However, it became evident during the autumn of 1944 that satisfactory relations with the Soviet Union could not be built up without a contribution from Paasikivi. He had a good name in Moscow and had not been branded there as supporting a policy of war. Paasikivi was asked to form a government in November 1944. 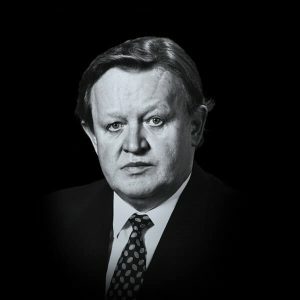 He believed that Finland’s fundamental interests demanded that a good and trusting relationship with the Soviet Union be established in the long run. This view formed the basis of the Paasikivi Doctrine. Foreign policy had to take precedence over domestic concerns. The stabilisation of the situation was fostered by the results of the March 1945 parliamentary elections. 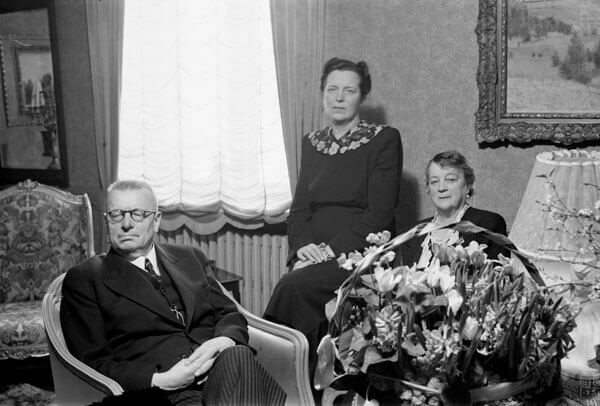 Paasikivi was able to form government based on cooperation between the three large parties: the Social Democrats (SDP), the communist-dominated Finnish People’s Democratic League (SKDL) and the Agrarian Party (Maalaisliitto). After Mannerheim resigned in March 1946, Paasikivi was elected president for the remainder of Mannerheim’s period of office, which ran until 1950. 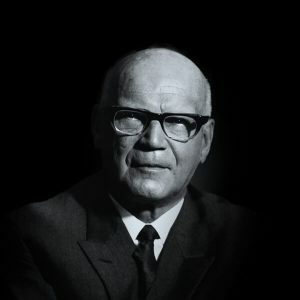 Paasikivi felt that it was his primary task as head of the state to direct Finland’s foreign policy in such a way as to take Soviet demands into consideration until final peace allowed greater freedom of action. 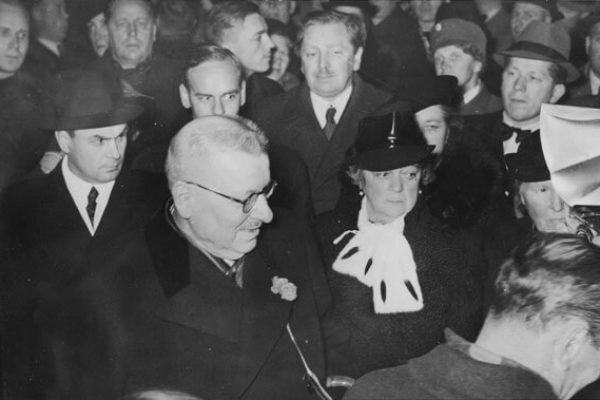 A peace treaty with the victorious Allies was finally signed in Paris in February 1947. Upon completion of the ratification process, the Soviet-dominated Allied Control Commission left Finland in September 1947. When Stalin proposed a Treaty of Friendship, Cooperation and Mutual Assistance (YYA in Finnish) in February 1948, Paasikivi agreed to the general idea while at the same time trying to ensure that the treaty was drawn up on the basis of an outline produced by the Finns. 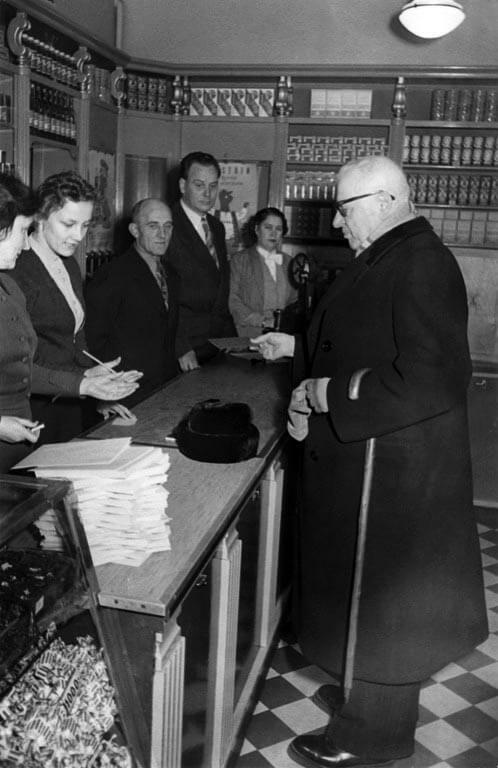 The ten-year treaty was signed in Moscow on 6 April 1948. Consequently, Finland’s status in a divided Europe was not determined by the Paris Treaty alone; it was surpassed in importance by this so-called YYA Treaty. Together the two agreements stabilised Finland’s international position right up to the end of the Cold War. 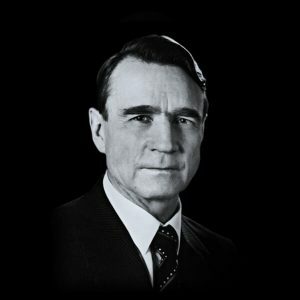 Paasikivi was reluctant to participate in the presidential election of 1950, but he nevertheless won 171 of the 300 votes of the electoral college to continue as the head of state. 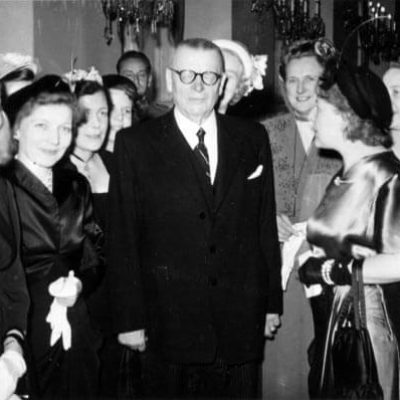 During his second term as president Paasikivi began to focus more on domestic politics, which were characterised by a power struggle between the Social Democrats and the Agrarian Party as Urho Kekkonen built up his position with an eye to the 1956 presidential election. The thaw in the Soviet Union after the death of Stalin increased Paasikivi’s freedom of action in foreign policy towards the end of his presidency. In 1955 Finland joined both the Nordic Council and the United Nations. The culmination of his long career came in the autumn of 1955 with his trip to Moscow and the restoration to Finland of the leased military base at Porkkala. The YYA Treaty was renewed unchanged, a procedure that was repeated a number of times right up to the dissolution of the Soviet Union in 1991. By the end of Paasikivi’s second term, Finland had already rid itself of almost all of the restrictions and emergency measures resulting from the war; reparations had been paid in full, refugees settled and rationing gradually abolished. 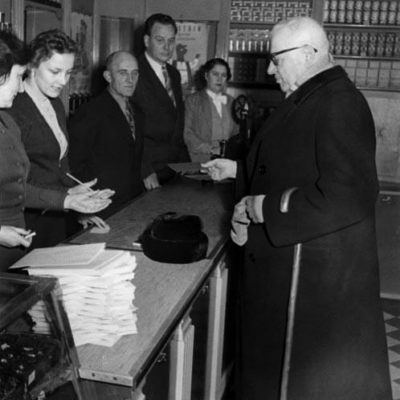 Finland’s development as a welfare state gathered pace. 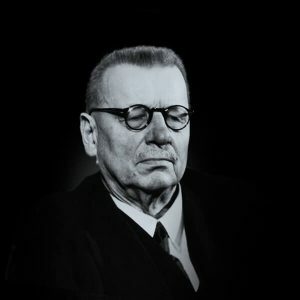 Paasikivi did not stand again for president in 1956, though during the election itself he was – with his own consent – put forward as a “dark horse”. However, he did not gain sufficient support from the electoral college during the decisive round of voting and thus, at the age of 85, he resigned on 1 March 1956. He intended to continue writing the memoirs he had begun decades before, but death intervened in December 1956. 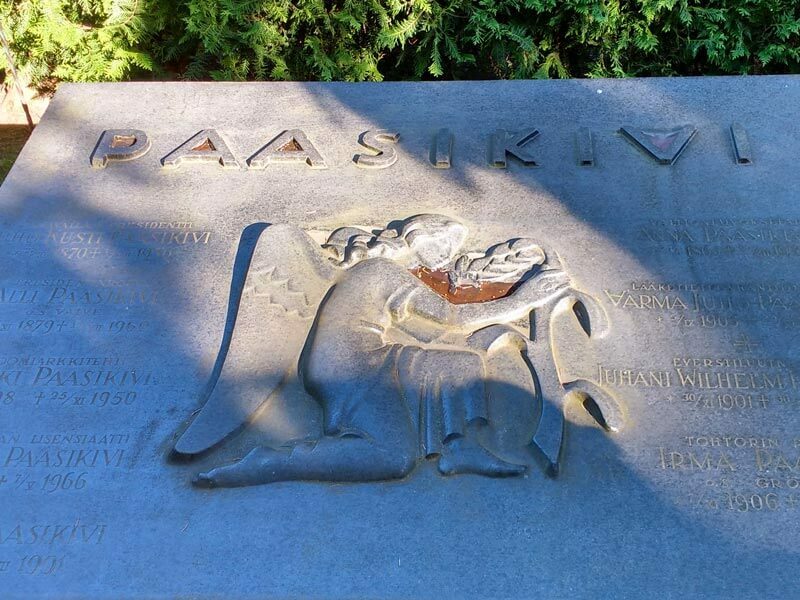 Juho Kusti Paasikivi’s grave at the Hietaniemi Cemetery in Helsinki. Juho Kusti Paasikivi is buried in Hietaniemi Cemetery in Helsinki. 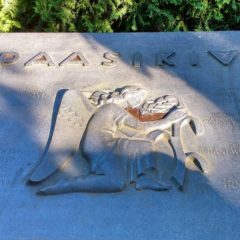 The memorial to Paasikivi, entitled “East and West”, was designed by Harry Kivijärvi and unveiled in the centre of Helsinki in 1980 on the 110th anniversary of his birth.